If you can't send or receive messages with Facebook Messenger, don't worry - you're not alone. 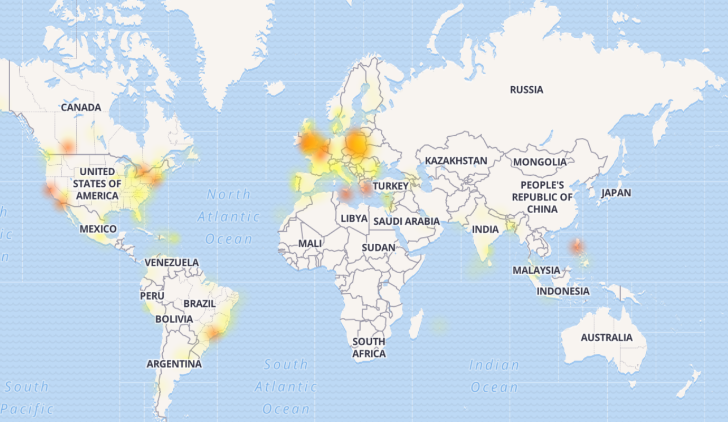 According to DownDetector, which monitors site outages, Messenger is having problems in several regions worldwide. As you can see in the above map, the vast majority of reports are coming from Europe, with a few from the United States, the Philippines, Peru, and Brazil. For some users, both the Android application and web app are malfunctioning, and for others only one of the two are not working. Let us know in the comments if you are having issues. Hopefully, Facebook is already working to resolve this.